The Frontierland area of the park brings the spirit of the Wild West to life through a quick service location that was once the hangout of a classic cowboy. 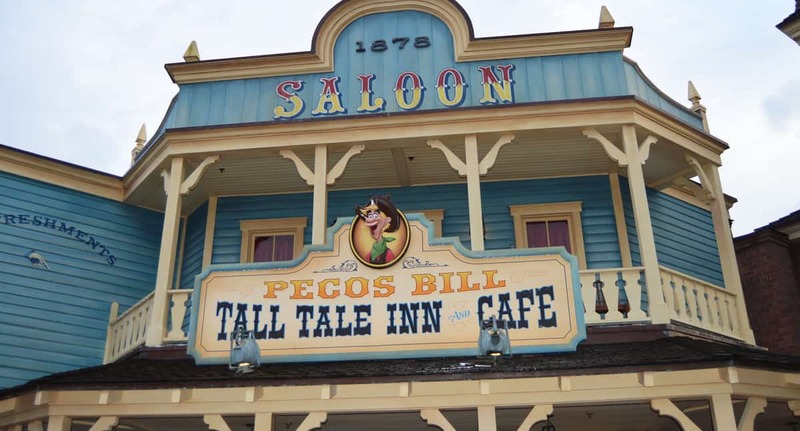 Pecos Bill Tall Tale Inn and Café is filled with memorabilia of classic cowboys and serves up Southwestern flavors that are delicious. Guests who dine at the quick service eatery for lunch or dinner can enjoy options such as the Fajita Platter, Southwest Salad, Chicken Nachos, Chicken Rice Bowl, Jerk Chicken Lettuce Wraps, and Plant-Based Southwest Cheeseburger.